The narrator has fallen in love with a women who lives in a house owned by feminist philosopher Mary Daly in N. Leverett, Mass. She moves in with her and becomes part of a study group of women who converse passionately about literature, philosophy and the state of the world. The journal Trivia: A Journal of Ideaswill emerge from those conversations. There was a constant hum that spring and summer of 1981; it filled all the rooms of the farmhouse on that country road in western Massachusetts. The house was the hub of a great wheel. The women in the study group came from all directions and the walls absorbed all of our sounds: the laughing, the cries of epiphany and delight, the occasional roars of indignation. Even the sounds of our listening—for we listened to each other with an intensity that seemed palpable. Jane wrote an essay at the time that began with women sitting at a round dinner table and talking and laughing so hard the table lifted up off the earth and became a flying saucer spinning out into space. That’s how it was in study group sometimes; as we sat in our circle the energy would start to build until we were all careening on the edge, like those tilt-a-whirl cars you can get to spin madly by turning the wheel in the center, and you keep turning harder even though you’re giddy and dizzy with laughter. 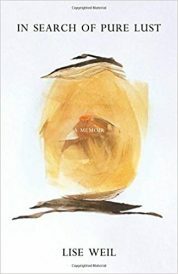 In Gyn/Ecology I found a whole chapter devoted to this phenomenon—Daly called it “Spinning.” Like the spider, we were in freefall through space, “whirling and twirling the threads of life on the axis of our own be-ing.” When a conversation brought us to the point where we felt suspended, weightless, lightheaded, and somehow not ourselves—then we knew we were on to something. What was coursing through us was nothing less than sheer evolutionary energy. All of which is not to say we were a bunch of starry-eyed idealists. We saw the sickening of the planet—the spreading poisons, the dying out of species, the numbing of psyches. We saw that the disease was pervasive and possibly terminal. And we saw that it was being visited upon the planet primarily by the male of the species and his need for ownership and control. I had now finished Gyn/Ecology, which spelled out the ravages of two thousand years of patriarchal pollution. (My instinctive preference for women, my instinctive urge to protect them from men, to protect myself, had an objective status to it, I saw now. History backed me up on it.) How could I have resisted this book for so long? In its critical analysis of patriarchal myth and ritual and its celebration of female bonding, it was the theory to our practice. Maybe I had needed to wait until I was fully engaged in that practice so that as I read, every word of it became flesh in my mind’s eye. As unblinkered as its vision was, Gyn/Ecologywas not a bleak book. Like Virginia Woolf in Three Guineas, Daly saw that women, this culture’s perpetual outsiders, were free “from unreal loyalties,” and thus in a position to bring about fundamental change. How much more so was this true for those of us who centered our lives around women. We thought of ourselves as the last hope on earth. To the destruction we saw all around us, there was only one answer—creation—and when we began to spin together, we felt we were following the lines of the double helix itself, the very spiral of life, the most fundamental unit of creation in the universe…. Lise Weil is an award-winning editor and translator. Her essays and literary nonfiction have been published widely in Canada and the U.S. She was founding editor of Trivia: A Journal of Ideas (1982) as well as its online offspring Trivia: Voices of Feminismwww.triviavoices.com(2004). In 2014, she founded Dark Matter: Women Witnessing www.darkmatterwomenwitnessing.com. She teaches in the Goddard Graduate Institute. Born in Chicago, she moved to Montreal in 1990. Posted July 25th, 2018 & filed under Blogs.